Compared to the pace of biotech pharma development, medical device technologies can seem snail-like, historically lagging in innovation and investor excitement. 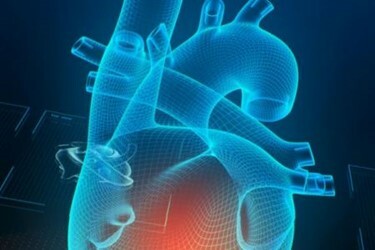 However, that paradigm is changing when it comes to heart valve conditions like aortic stenosis and mitral regurgitation, wherein non-invasive heart valve technologies are being designed to treat patients via less invasive approaches. For cardiac surgeons and interventional cardiologists, these minimally invasive transcatheter approaches offer an alternative to open heart surgery, which has the potential for severe side effects and can be utilized in only a small fraction of patients. Industry and clinicians view these new technologies as the answer to treat millions of patients more safely and fill an enormous unmet need. Reaching these valuations, however, has taken decades of innovation, failures, and learning. Valve replacement technology has evolved since the inception of replacement surgery in the 1950s and 1960s. Initial valves were mechanical, with the tissue-based bioprosthetic valves following them. Enthusiasm for mechanical valves was tempered, given their association with persistent thromboembolic complications, even though they are durable enough to last the life of a patient. These mechanical valves were manufactured with a combination of titanium, pyrolytic carbon, graphite, and Teflon. On the other hand, bioprosthetic valves were manufactured using processed tissues from animals (porcine, bovine, equine) that provide flexibility and strength. These valves require limited — or, in some cases, zero —need for lifelong anticoagulation, which has resulted in a significantly increased utilization for the last 10+ years; however, given these valves’ relatively lower durability vs. mechanical valves, their use results in concern for additional replacement procedure especially in younger patients. Thus, a need emerged for transcatheter technologies to replace and repair valves. This revolution began with a plethora of companies focusing on restoring the aortic valve and developing transcatheter aortic valve replacement (TAVR) technology. Transcatheter replacement valves are self-expanding, and are made with bioprosthetic materials, utilizing various anchoring mechanisms. With approval of Edwards’ U.S. SAPIEN TAVR device in 2011, the race was on to address the more complicated, though commercially more considerable, opportunity of treating patients with mitral valve regurgitation. The mitral valve is associated with anatomical challenges, and the causes and manifestations of the disease are more varied than aortic valve degeneration. However, there are many more mitral valve regurgitation patients in need of treatment. In the U.S. alone, there are around 50,000 aortic valve replacements performed annually, while around 1.7 million patients with mitral valve regurgitation have a disease that is severe enough to require surgical treatment. The transcatheter pipeline to treat these mitral valve patients is exceptionally competitive, with more than 50 companies working on either a repair or replacement technology: Abbott’s MitraClip, an edge-to-edge repair technology, is the only FDA-approved transcatheter product to repair the mitral valve. It is manufactured from cobalt chromium with a polyester cover to reduce regurgitation of blood. However, there is a strong belief in the community that MitraClip will not be suitable for all mitral valve regurgitation patients and there is a need for additional approaches, especially given the complex anatomy of the mitral valve. The repair pipeline includes other approaches, like annuloplasty and chordal repair. Even with MitraClip’s limitations, its use in more than 50,000 patients worldwide highlights the potential of these technologies. This has resulted in large med device manufacturers placing risky bets on various techniques that have not yet demonstrated clinical efficacy or safety. As the field becomes more established, and interventional cardiologists and cardiac surgeons match appropriate transcatheter technologies to specific disease segments, manufacturers and developers of transcatheter mitral valves may consider some strategic approaches. Create a “toolbox” of devices to treat mitral valve disease — Combined solutions utilizing multiple repair devices, targeting different aspects of the mitral valve anatomy, will provide a diversified portfolio to accommodate greater patient variability. One single device will not be appropriate for every patient. This will require clinicians to develop additional technical skills to address the varied needs of heterogenous mitral valve patients, and the ease of device delivery will favorably influence the adaptation of new technology. Tackle pricing and regulatory challenges early — As the “toolbox” approach becomes more established, multiple mitral technologies are likely to be combined to achieve the best results. However, given the already high prices of these technologies (>$30K in the U.S.), combination therapies are going to be expensive, and reimbursement challenges for such expensive technologies still remain. In addition, as products are approved, clinical trial protocols and expectations from regulatory bodies in the U.S. and Europe will change, likely leading to longer and more expensive and trials. Leverage existing salesforce to drive adoption — Med device companies, especially those with an existing TAVR salesforce, can leverage relationships to prime the next-gen market for mitral technologies and drive increased adoption. Favor a transfemoral delivery system over a transapical approach — Most transcatheter mitral valves are implanted through a transapical approach, requiring a minimally-invasive operation through the chest. Some replacement valves have been designed to be deployed using a trans-septal approach, accessed from the femoral vessels and navigated to the heart under fluoroscopic guidance. Although the transapical approach offers the most direct access to the mitral valve, this procedure has a risk of ventricular injury and bleeding complications. The transfemoral approach is less invasive and requires a transseptal device to travel from the right to the left atrium, requiring additional technical skill, but reduces morbidity to the patient. Consider ease of use and long-term care — Ease of technology and devices that could allow for revision procedures over time are preferred: Once Mitraclip is implanted, the patient cannot undergo further transcatheter procedures. A longer-term view of disease progression with options for further intervention would be an improvement, and more attractive for patients and clinicians alike. Parallel track development of technology for tricuspid valve — Tricuspid valve has often been referred to as the forgotten valve. However, as the field matures for TAVR, and becomes saturated with competition for mitral valve, a transcatheter option for tricuspid could provide a way to differentiate some of the transcatheter mitral valve technologies, especially as they think about strategic partnerships. Collect more established data before potential strategic partnerships (include short-term and long-term outcome measurements to achieve a comprehensive clinical perspective) — Most mitral valve repair devices demonstrate a reduction in regurgitation and improved hemodynamics following implantation, but the lifespan for many of these therapies remains unknown. Also, if these physiological changes translate into an improved quality of life for patients, in terms of activity level and ease of breathing, it has yet to be proven. It is also unclear if these devices can prolong a patient’s life significantly. Large clinical trials are required to expand our expertise in novel transcatheter mitral valve devices. As the elderly population grows, more and more patients will become candidates for minimally-invasive therapies for mitral valve diseases. Transcatheter mitral valve devices will continue to expand into clinical practice as people age out of open-heart surgical operations, and technology and innovation for mitral valve diseases will continue to improve. Nonetheless, there remain many challenges in determining which device is best suited for a given patient’s mitral valve disease anatomy and pathophysiology. Stephanie Kwei, MD, is a plastic surgeon and entrepreneur in residence at Back Bay Life Science Advisors. She has served as faculty advisor at the Yale Entrepreneurial Institute and assistant professor in the Department of Surgery at the Yale University School of Medicine.